Here we have the Millennial song of Israel after the deliverance at Armageddon when the captives will have been freed and all Israel gathered to the Lord at Jerusalem. 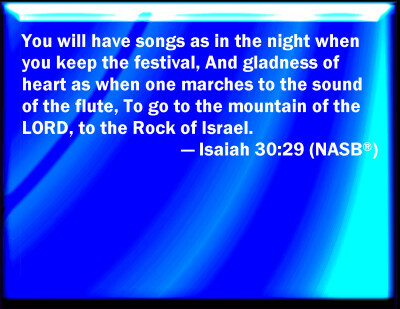 It will be sung as they go up to Jerusalem to fulfill 2:2-4; 35:8-10. This song was popular in Christian circles when I was a teen. I sang it with my mom and my sister. It’s based on the words in today’s verse, although it doesn’t follow the Millennial theme. Still, it was a song of hope in the midst of trial. God’s wrath is something to be feared. Sadly, too many people want to focus only on His love, His grace and mercy. Those are also important attributes, but they are not the ONLY attributes. Primarily, God is holy. His holiness contains all His other attributes, which include grace, love, and mercy. And justice. 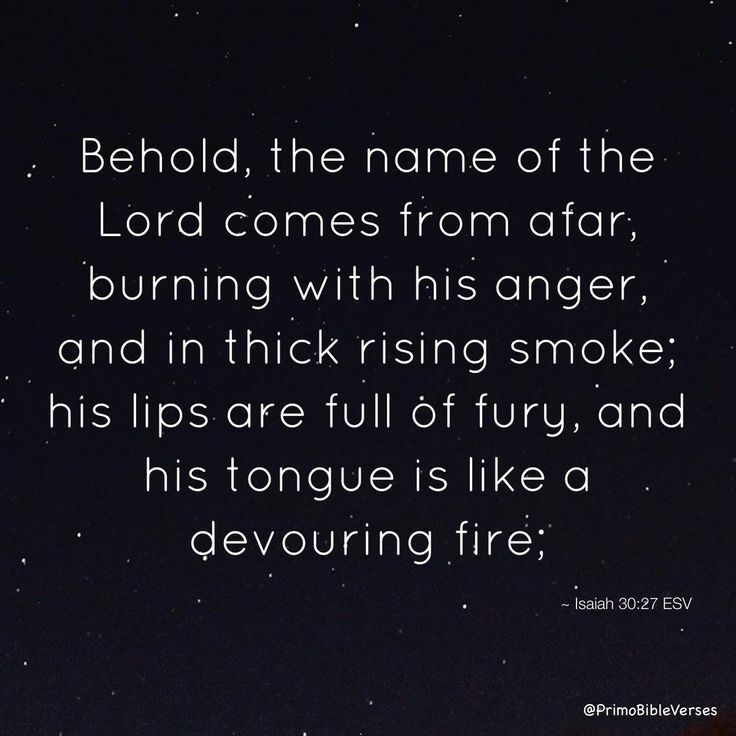 We must never forget that He is a God of justice, and the nations who persecuted Israel will experience the justice meted out by and angry and all-powerful God. It was customary for captives from defeated nations to be led away with nooses, or bridles, around their necks. The bridles made it easy to control them. I’m not sure if this last sentence in today’s passage is a reference to the people of Jerusalem being led into captivity, or if it is descriptive of Judah’s enemies when they are defeated. Nothing I read was completely convincing or definite. I tend to think, though, that it refers to the half of Jerusalem that will be led into captivity just before Armageddon (Zech. 14:1-5). God promises prosperity and abundance when Jesus reigns. This is an amazing passage, going into detail on just exactly how things will improve materially for His people. I can’t imagine the moon being as bright as the sun, nor the sun like seven days of sunshine rolled into one. Combine all that light with an abundance of water flowing from the hills and mountains, and you have a desert that will indeed blossom as the rose. Please don’t misunderstand this passage. It is not a promise for us today that if we obey God we will have health, wealth, and happiness. That is not a scriptural teaching, but one that distorts the reality of life in this fallen world. God never promised believers that everything would go perfectly for them. What He did promise is that He will walk with us through whatever valley we must travel. This passage is a Millennium prophecy, specifically promised to Israel when they accept Jesus Christ as Messiah. How different things will be for Israel when they finally turn to Jesus Christ and accept Him as Messiah! There will be no more adversity; no more affliction; they will accept the words of their teachers; they will follow the urging of the Lord in choosing the path to follow. More, they will destroy all their idols and idolatrous ways, and they will never return to worshiping idols. Idolatry was always the sin that led to the downfall of the nation, all throughout their history. They would be turned aside from following God by all the nations surrounding them, and especially when they married into those nations. That will all be over. Jesus will be supreme, as He has always been. The difference is that during the Millennial period, His people will acknowledge His supremacy. And they will be blessed. I have nine grandchildren. Three grew up in Germany; three are in South Dakota; three live about thirty minutes away. I will always be sad about all the years we missed with the six who live so far away. You don’t really get to be part of their lives, and you miss seeing all the stages of change. My oldest grandchild is 20, and I find that almost impossible to understand! I don’t think you really understand the emotion that goest with having grandchildren until you hold that first one, the first child of your first child. Such a wave of amazement and tenderness, and it just keeps getting better as more babies are added to the family. They are so much fun to have around because they aren’t your responsibility 🙂 You can enjoy them, relax with them, and then send them back to their parents. The three who live nearby stayed overnight with us on Thursday, stuffed with turkey and all sorts of other goodies. They bunk in the basement, in a semi-furnished room that holds a sofa, a twin-size mattress, and a couple of cots. They seem to enjoy themselves, and they always come back upstairs hungry for whatever is featured at breakfast. The boys spend time outdoors with Grandpa, working on one of his endless projects. Their sister is out there too, for a while, but usually comes back inside looking for something domestic to do. This time, she made some chocolate chip cookies. She doesn’t need supervision any more, and she knows to clean up after herself. We got some new neighbors earlier this year, and they have a son and daughter close to the ages of our older grandson and his sister. They spent a few hours here yesterday, getting to know each other. It’s a strong temptation, with your grands, to look at them and see your own kids. I try not to do that. They are individuals in their own right, not clones of any of the rest of us. They will follow their own paths, and I pray daily that those will be God-directed paths. Well, I didn’t really have anything in particular to say today, I guess. Just enjoying this part of my life, so thankful for all with which God has blessed us. Well, Thanksgiving Day has come and gone. We were left with three happy grandchildren who seem to think staying overnight with us is some kind of a treat 🙂 We had a very good day with family and close friends, way too much food, and a definite turkey torpor. Before we ate, we all shared a favorite verse about praise or thanksgiving, and then we sang Praise God From Whom all Blessings Flow. 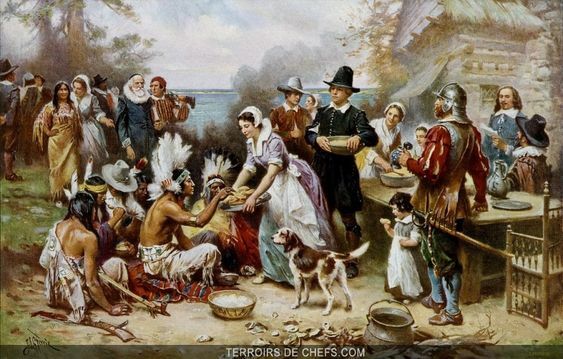 I think it’s important for us to remember that Thanksgiving Day isn’t just about stuffing the turkey or our faces; rather, it is to take the time to remember how God has blessed us personally, and in our country, and in our freedom to worship God as we choose, and when and where we choose. There are those who would take that freedom away from us, as others who have their heads buried in the sand, trying to pretend we have no real enemies. They’re going to be sadly surprised. And I will NOT be out with all the other Black Friday shoppers. No way.